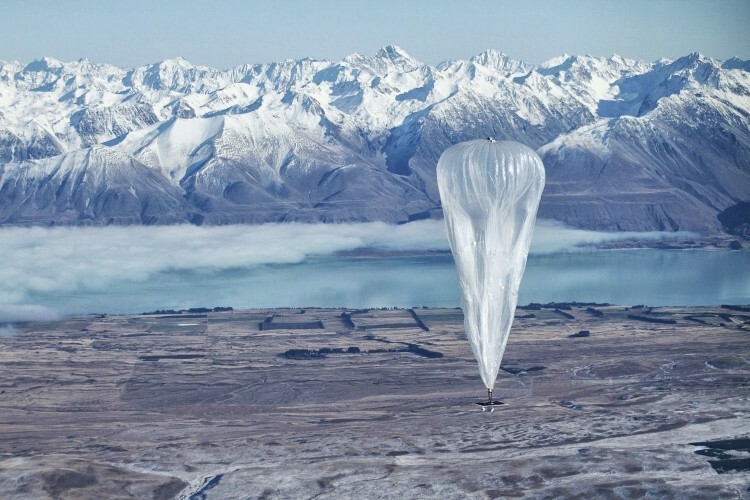 The mysterious Google X lab is at it again, and this time they are unleashing a top-secret internet service that goes by the code-name “Project Loon”. Google's plan is to eventually launch thousands of internet-beaming transmitters into the stratosphere, carried afloat an extensive network of hot air balloons. According to the Associated Press, the balloons will be made of a thin polyethylene film that is approximately 50 feet (15 meters) in diameter. Drifting through the air at an altitude of 12 miles (20 km), the wireless antennas will hopefully bring internet access to some of the most remote areas of the planet. At the present day, only ~2.2 billion people are online, while the remaining ~4.8 billion do not have access to standard broadband. If this works, Project Loon will greatly expand internet coverage across Africa and Southeast Asia. To provide power to the balloon’s radio and flight equipment, each unit will be equipped with solar panels. On the home front, users will attach large antennas to their houses to receive the signal; antennas which currently resemble giant red pins, not unlike those seen on the popular Google Maps interface. Charles Nimmo, a farmer from the small town of Leeston, was the first person to successfully receive internet via Project Loon, albeit for a short 15 minute period. Up to 50 other households have also volunteered to be preliminary test subjects, and they will briefly receive internet in the coming weeks as the balloons pass overhead. Nevertheless, Google’s project is still in the early testing stage. There is currently no word on how much they have invested in the system, or what the expected cost is for customers.